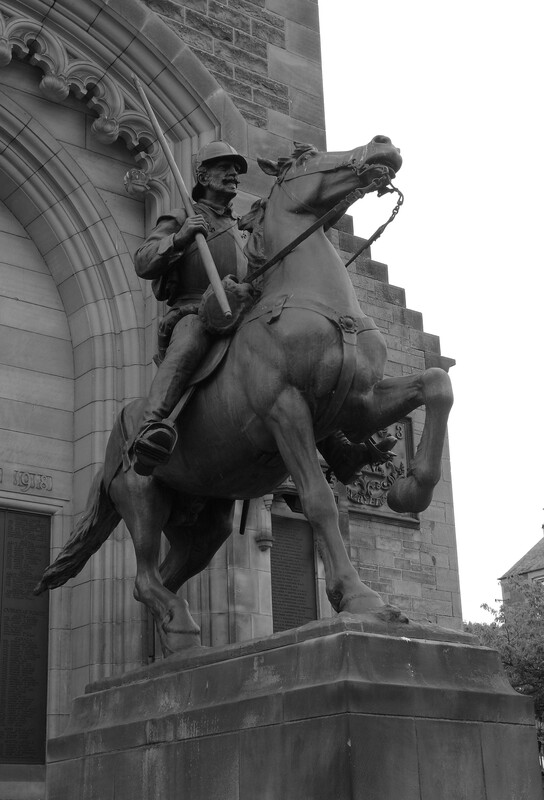 The story of the Reivers dates from the 14th century and continued through into the late 17th century. It concerns the border between the two sovereign countries of England and Scotland. In those days, this Border displayed all of the characteristics of a frontier, lacking law and order. Cattle rustling, feuding, murder, arson and pillaging were all common occurrences. It was a time when people owed their tribal or clan loyalty to their blood relatives or families. And it was common for these families to straddle the Border. The Reivers were Outlaws the product of the constant Scottish/English wars that would often reduce the Border area to a wasteland. The continuing threat of renewed conflict offered little incentive to arable farming. Why bother planting crops if they may be burned before they could be harvested? The reiving (raiding or plundering) of livestock was however a totally different matter, and so it became the principal business of the Border families. The Reiver came from every social class from labourer to peer of the realm. He was a skilled horseman and fine guerrilla soldier, practised in the fine arts of arson, kidnapping and extortion. There was no social stigma attached to reiving, it was simply an accepted way of life. It is said that the wife of one famous Border Reiver demonstrated that her larder was empty by serving her husband his spurs on a plate instead of his dinner. The message was clear either mount up and go reiving, or go hungry. Reiving was simply a way of earning a living. Raids were planned like military operations and could involve gangs of armed men and last for days. The Border Reivers racing team set up by Jock McBain and his friends in Chirnside, Berwickshire in the early 1950s. The Reivers existed at least a year before the more famous Ecurie Ecosse team. It was in 1951 that two Border racing drivers; Jock McBain, who had the Ford dealership in Chirnside, and David Swan joined forces with their two Cooper-JAP Formula 3 cars. They were soon joined by other local drivers, so that Border Reivers could sport four or five cars at racing events. They were called the Reivers in memory of the Borderers who used to cross the Border from Scotland to England with the expressed desire to steal sheep and cattle. Jock McBain was the driving force behind Border Reivers and a great motor sport enthusiast who had started out with an MG before buying a Cooper. All of this enthusiasm was boosted by the introduction of the old Winfield airfield, as a motor racing circuit at the end of 1951. There was immediate interest in the area, and Jock and David were soon joined by Colin Clark – no relation to Jim Clark – C J Mauritzen and a young driver from the North East of England, Keith Hall. All of them had Coopers and they raced locally with occasional forays across the Border. All the work on the cars was done at Jock McBain’s garage in Chirnside under the expert eye of Bobby Hattle, Ian Matheson and Ian Deans. Shortly after the team was formed they brought another local farmer into the team, Alec Calder who had Brooklands Riley and by the Somervail brothers, Jimmy and John who had bought the ex Prince Bira ERA. Within three years most of the original drivers had retired or moved on, Keith Hall switching to Lotus with Lotus Elevens and eventually Team Lotus. Alec Calder sold his Brooklands Riley to the son of a Dumfriesshire vet who went on to win the Motor Sport Trophy with the car. That son was Innes Ireland. 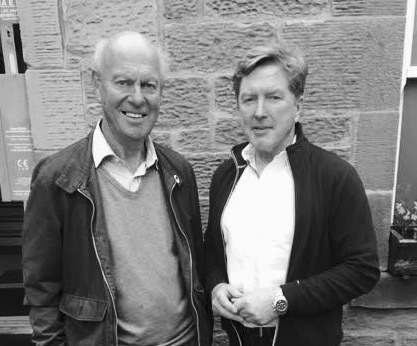 In an effort to consolidate the team Jock McBain brought in Alastair Birrell who had been a partner with Ron Flockhart in their team Alba Union. When Flockhart sold out his share of the ERA R1A to Birrell in 1952 to proceed on his own with the ex-Raymond Mays ERA R4D, Alastair started to race under the Border Reivers banner. A Lotus Eleven sports car was bought to replace Jimmy Somervail’s ERA, and his brother John Somervail bought an Austin Healey 100S. By now Ecurie Ecosse were coming very much to the fore and were grabbing the spotlight running a new Cooper-Bristol, the sixth in the original Mark 1 series. Alastair Birrell decided to sell his ERA and bought the Ex-Ecurie Ecosse car which he and Jimmy Somervail raced. It was not a successful time and eventually Alastair Birrell retired from racing in 1957. That same year another local farmer, Ian Scott Watson let his farmer friend Jim Clark drive his DKW at Crimond and it became clear that Clark had talent. 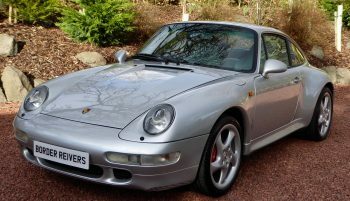 This got Jock McBain and Ian Scott Watson thinking, and it was decided a car would be bought and shared by Jimmy Somervail, Ian Scott Watson and possibly Jim Clark. The car they bought was a Jaguar D type that had originally been owned by Gillie Tyrer and Alex McMillan before being bought by the Murkett Brothers. The original plan was for Tony Murkett, the son of the owner of the garage business, to race the car but he found the car overwhelming. Tony’s father was a great friend of Henry Taylor’s father and the suggestion was made that Henry drive the D type, now painted white from its original green. He had a good season with the car in 1957 and then it was bought by McBain and Scott Watson. Then a test day was held at Charterhall where Scott Watson, Jimmy Somervail and young Jim Clark could try out the car. Scott Watson was a competent driver but to his chagrin he found that on the long Charterhall straight he had difficulty with his eyes welling up and there stood down. Clark was very quick and it was decided that he and Somerville would race the car in 1958. Even then, after that test, Jimmy Somerville, the gentleman that he was, offered that Jim Clark should be the main driver and that he would drive it when the need arose. 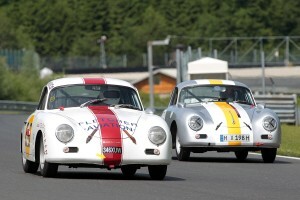 The rest of the story is now history, Clark became the sensation of the 1958 season in British club racing. 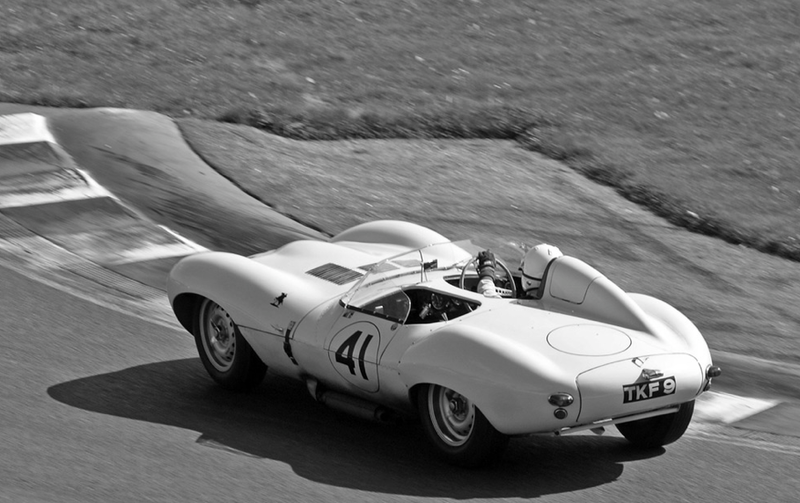 Thus inspired, the D type Jaguar was sold to Alan Ensoll and replaced with the ex-Bruce Halford Lister Jaguar in 1959. Once more Jim Clark was winning and had come to the notice of Colin Chapman at Lotus. Finally, in 1960 the team bought the Aston Martin DBR1 that had been burned out at Goodwood during the 1959 TT, and Clark with Roy Salvadori took an impressive 3rd place overall at Le Mans. 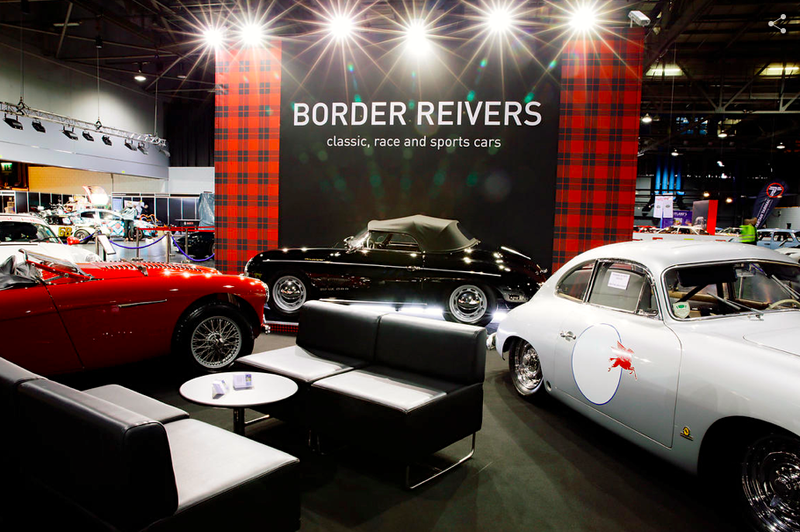 When Jim Clark moved on to Team Lotus in 1960, the Border Reivers team dropped out of the motor racing scene. 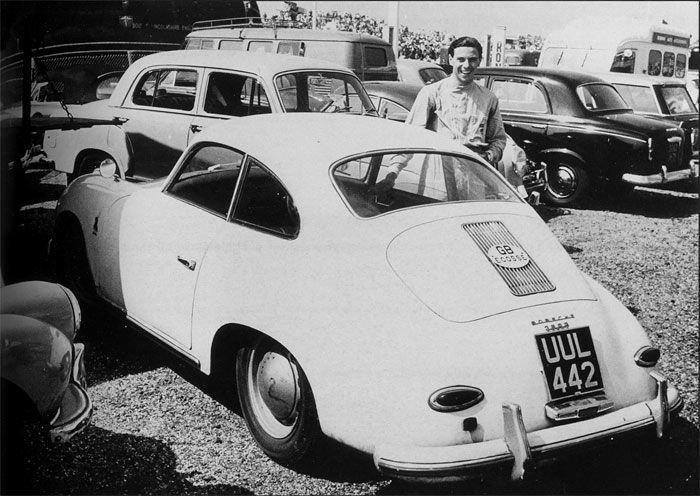 The name was used later by Ian Scott Watson when he sponsored Douglas Niven – Jim Clark’s cousin – in saloon car racing.